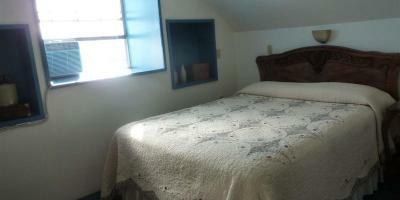 Lock in a great price for Sugarloaf Mountain Motel – rated 8.8 by recent guests! It was to have a little store available. The owners were super nice and we're available to meet our needs. The owner was super sweet and super accommodating. They are new owners just purchased and moved in November 2018. They have plans for providing other amenities in the near future. Candace and Charlie were excellent hosts. Their customer service was superb and they made every effort to accommodate every need. They have worked magic on the facility and I wish them a long and prosperous ownership. The room was very clean, smelled fresh and was comfortable. The bathroom was clean and surprisingly offered great water right from the tap. I really like that the air conditioner has a fan mode to offer white noise to block outside noises. It has a fridge, and a microwave. It’s a basic but clean room and we felt safe and comfortable there. The location and setting were perfect for quick access to shops and restaurants. The room was cozy and welcoming. The staff were beyond hospitable and we loved our stay. We would definitely stay again! Everything, knockout view, very friendly owners. 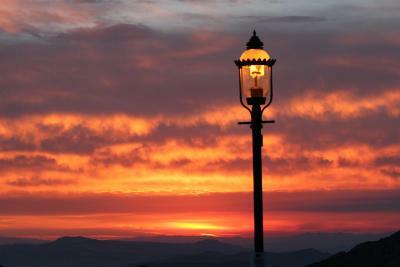 It's Virginia City, what is there not to like?!? We stayed in the 1889 hoarding house part of the property. It was the cutest place, and we loved being surrounded by the history. We love this motel and the owners, this is our second stay here. Location is great, views are great. Rooms have microwave and refrigerator. 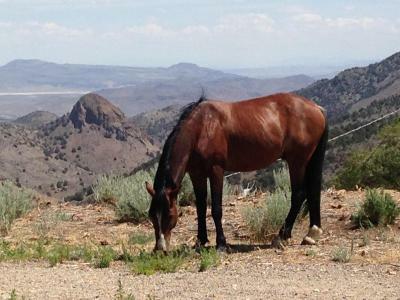 As always the wild horses are a bonus. 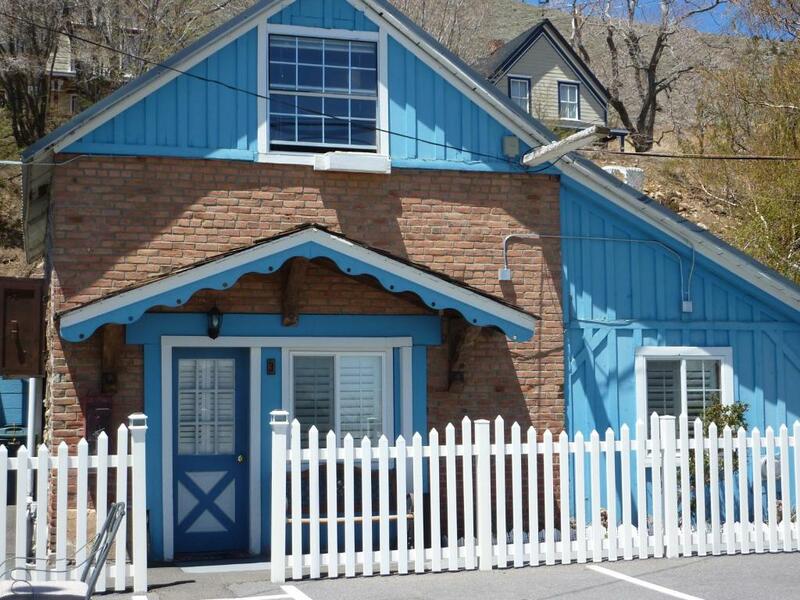 This is a historic property decorated with nice antiques. Comfortable and relaxing. Sugarloaf Mountain Motel This rating is a reflection of how the property compares to the industry standard when it comes to price, facilities and services available. It's based on a self-evaluation by the property. Use this rating to help choose your stay! 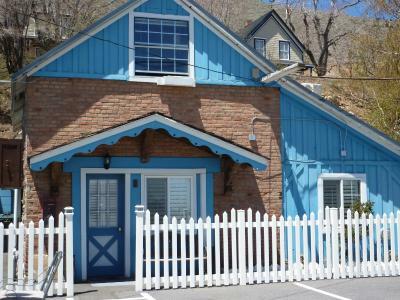 Boasting panoramic views for 100 miles in each direction, this motel located on the main street in Historic Virginia City serves fresh coffee each morning. 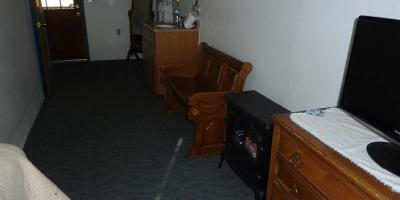 All guest rooms include free WiFi. 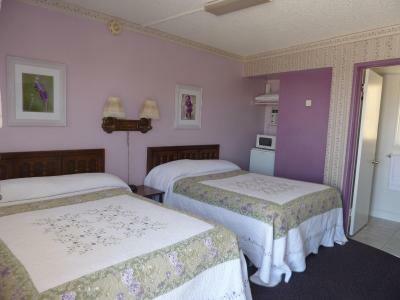 All uniquely-decorated guest rooms at Sugarloaf Mountain Motel provide a TV, a microwave and a compact fridge. 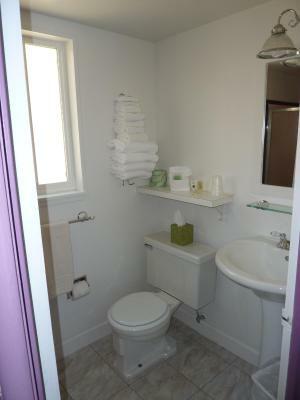 An private bathroom with hairdryer and free toiletries is also included. Select rooms feature original brick walls and cast iron shutters. The on-site hosts welcome guests with information about local points of interest. 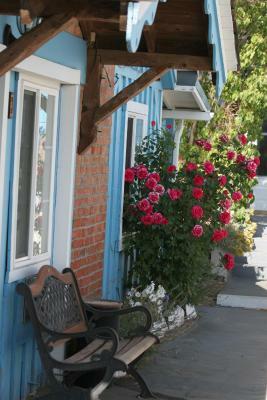 Historic building tours, museums, restaurants, shopping and entertainment are all within walking distance of the motel. 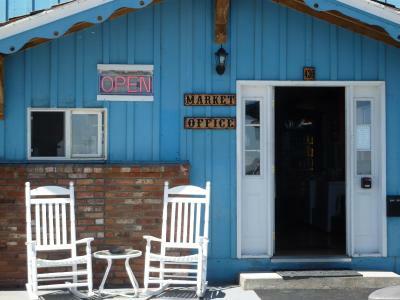 A mini-market is located on site. The property offers free parking. 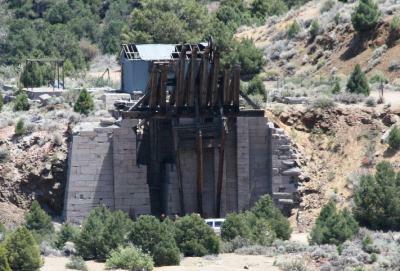 The Virginia City Visitor Center is less than 10 minutes’ walk away. 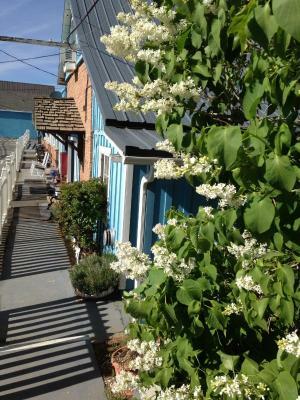 The V& T Railroad Depot is 15 minutes’ walk away. Reno-Tahoe International Airport is 15 mi away. 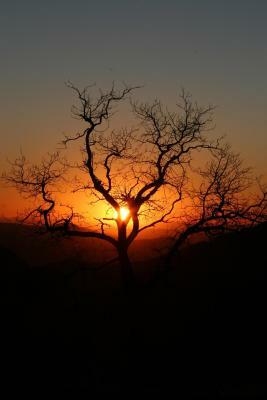 When would you like to stay at Sugarloaf Mountain Motel? House Rules Sugarloaf Mountain Motel takes special requests – add in the next step! Sugarloaf Mountain Motel accepts these cards and reserves the right to temporarily hold an amount prior to arrival. The property requires the guests' ZIP code at the time of booking to authorize the credit card. Please inform Sugarloaf Mountain Motel of your expected arrival time in advance. You can use the Special Requests box when booking, or contact the property directly using the contact details in your confirmation. Room was tiny, no table or surface to eat on. TV listed around 25 channels, but only 10 worked, albeit blurry. No functioning cable tv channels. No freshening up the room (make beds, clean sink etc) after the first night. 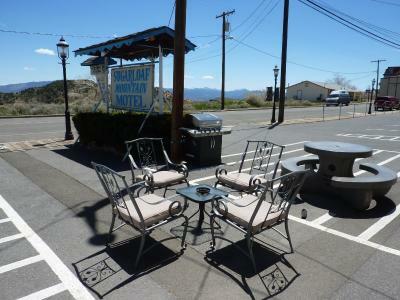 Position of motel , excellent helpful staff , very comfortable bed . Lovely quilt on the bed . Rooms tiny and very old. Carpets stained, no shampoo in dispenser, and tv remote did not work. No ice machine. Lights were unplugged and had to troubleshoot why they did not work. Overpriced for what it is. I have done thousands of motel room nights in career to base this on. Super nice owners and managers. It was close to shopping and restaurants, quite location. This is an older property with some amazing history. The room was a bit small but, it was comfortable, cozy, and very clean. The early morning coffee and danishes were a bonus. There is a small market on site as well. 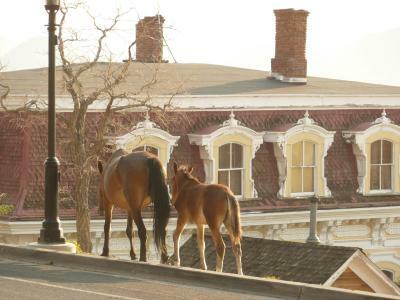 Late November means Virginia City rolls up the sidewalks by 5 for real food. Be advised. Nothing to do with the motel, just a caveat if you are using the internet to tell you where to eat dinner. It is not updated well. New proprietors, with great positive energy. I hope they do very well. They have the right attitude. It is a lot of work but they are young and are locals, which makes them a perfect match for the challenges of the historic environs. The room was decorated very well, but two big beds felt to be too much for the room. It is a very old historic motor home and we could tell that the new folks were going to be doing some upgrades like weatherstripping under the doors in the Nevada winter at 6,150 feet elevation to make it more energy efficient. That said, we were very comfortable in the room even when the outside temp dived to 16F. The bedding was awesome and very comfortable, the heat worked very well, and the parking was right in front. 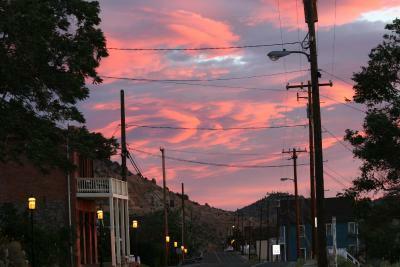 I was very happy with our stay and with the warm welcome we felt not only from the new owners but from the locals in Virginia City as well. 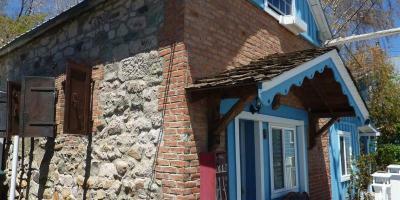 It is very close to the downtown and an easy walk. The motel fits in with the historic old west aspect of the town, and has an awesome view of the Sugarloaf mountain across the street. All rooms are on the ground floor, a plus for those of us who can’t do stairs, which is an unfortunate requirement for the way the rooms are set up above the saloons and most of the B and Bs. 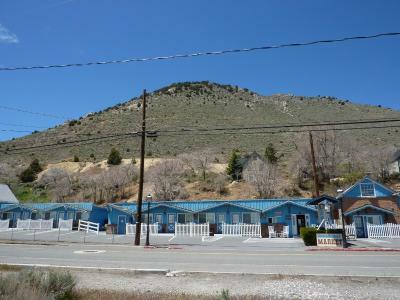 I recommend iSugarloaf Mountain Motel wholeheartedly! The staff was very nice except the one who answered the phone initially. It was a guy and he was curt with a coarse personality. The other thing is it’s a narrow parking lot with no outlet, so when we jumped in our car after walking all day we literally couldn’t pull out because of the parking lot design, it’s very poor. Luckily everything is very close and although tired we found another restaurant within walking distance. So if you park in the lot make sure you are not off to the far left, if people park next to you, you’re stuck. A minor thing but I had a hard time hunting down the people who run the store, very friendly lady but at one point I seriously considered leaving cash and leaving with my breakfast, lol. I have a service animal and she was not allowed to stay here so I had to get someone to watch her. The room was supposed to be a queen. It was a full. Was supposed to be haunted. Not even. Brought our ghost gear. Not needed. Bed was lumpy. Staff was very friendly.